421 E. Queen Isabella Blvd. Customarily, a lighthouse is intended to steer travelers away from its foundations. In Port Isabel, it’s a beacon welcoming you to one of the most charming spots on the Texas Gulf Coast. Known as the only town in Texas with a lighthouse in the middle of the town square, Port Isabel offers excellent shopping and dining, fascinating historical insights, and all the fun in the sun Cameron County has to offer. Located just on the other side of the Queen Isabella Causeway from South Padre Island, Port Isabel is a spectacular destination on the Texas Gulf Coast. Port Isabel’s roots go back to the days of Spanish explorers, shipwrecks, and pirates. Learn about this colorful history at one of the three world-class museums in town, such as the historic Port Isabel Lighthouse, built in 1852. The Treasures of the Gulf Museum and the Port Isabel Historical Museum are great resources, as well. Both showcase priceless artifacts, murals, and memorabilia to tell the story of this part of the South Texas coast. Registered historic markers are also sprinkled about the city, including the Queen Isabel Inn, the Port Isabel Cemetery, and the Charles Champion Building. In the immediate vicinity of the lighthouse, this Texas Gulf Coast destination bustles with activity at its numerous restaurants, shops, and art galleries. Pick up a handbag or a sterling silver piece of jewelry from a charming boutique and treat yourself to a massage or pedicure after a long day on your feet. Manuel’s, one of Port Isabel’s most popular eateries, is a close walk away. Here you’ll hesitate just long enough before digging into your Tex-Mex to gape at the sheer size of the flour tortillas that the restaurant is known for. When it comes to ways to enjoy the outdoors, the Laguna Madre Bay area serves as a salty playground for kids of all ages. Some of the best saltwater fishing in this part the country is right here, whether you cast a line from a bank along the channel, wade or kayak out, or charter a deep-sea fishing boat. The annual Texas International Fishing Tournament puts Port Isabel on center stage, when hundreds of anglers compete for top spot in either the bay, tarpon, or offshore division. While most excursions afford incredible moments of dolphin watching, booking an outing with a one of the specialized tour companies in Port Isabel is the best way to ensure you get to see the happy sea creatures at play. Convenient lodgings await you all over town, from cozy bed and breakfasts and romantic hotels to budget-friendly inns. If you need a point in the right direction, local residents will typically be happy to lend a hand and give you recommendations. 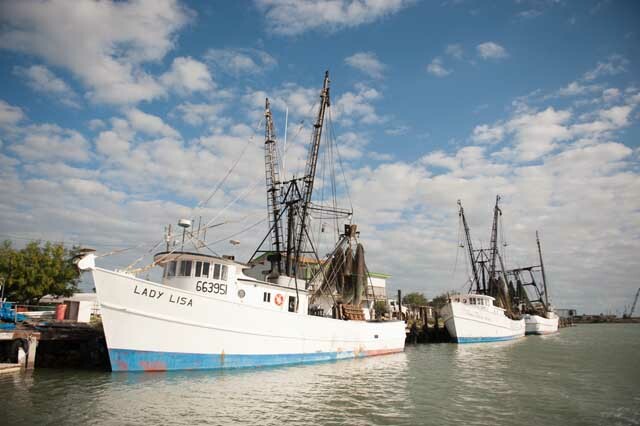 So heed the call of the ocean and steer your vessel toward Port Isabel as soon as you can.